Parents and players alike will often look at this season’s minor hockey head coach and picture how easy it is, and how they could, or they know someone who could do a much better job. How hard could it be? Stand there and blow the whistle at practices, yell at refs during the game, get a cool team jacket, and know everything that is going on with the team… only telling the rest of you what you need to know, right? Take it from someone who has been there—it’s a very difficult and thankless job in many ways. Why do people take on the task? They are lovers of the game, had great coaches growing up and feel a sense of responsibility to share the knowledge they acquired and be a role model, or in some cases they don’t even have a kid on the team and are empty nesters. Someone who wants to take on a challenge, or just flat out love to coach and can’t give it up. I can’t recall anyone ever writing an article about what is truly involved in the role of the head coach as it relates to minor hockey. This is not an article written to gain sympathy or accolades, it is simply to make the average parent aware of what that guy/lady who spends countless hours at the rink with your child does to create a season of hockey. This article is based on my own personal experiences and many coaches may agree or disagree, or possibly have more to add to this article. The beginning of your hockey season as the head coach actually begins long before the previous season ended. You may have already completed it some time ago, but at some point you were required to get properly trained, and if you were not in a coaching role at the time you footed the bill, which is over $100 per course in Ontario. HP1 is about $1000 and three full days of training and this is a requirement to coach U14AA and U17AA and above, or what we call Bantam AA, Midget AA, and Intermediate AA. The actual process starts with the coaching interview. Most applicants will show up very organized with practice plans, fundraising and sponsorship ideas/goals, and team budgets in hand (that’s about 20 hours of planning, by the way, and sometimes more depending on the level and complexity). You sit on one side of a table with the coaching selection committee of somewhere between two to seven chosen volunteers usually with some hockey or teaching background, who will decide if you will get the team. A week or so later you get the call announcing you are the successful candidate. Pending a police check and proof of successful completion of “Respect in Sport” training, you will be named the coach of the team. You may do these after the fact, as the training costs money, and the police check requires a volunteer letter on the hockey association’s letterhead to allow you to obtain it at no charge (in Ontario). Now, if you share the name, birthdate, or anything imaginable with a previous convicted criminal you will be asked to return, or go to another location to be fingerprinted to verify that you are the upstanding citizen you claim to be. You will need to get away from work for this as they work limited hours and it’s often a long wait. Once these items have been completed and you’re photographed by the association so they can post your self-written biography on their website to promote you in the hope that your reputation, and marketing will help in the overall count of registrations for the association. Some cities even dispense the number of ice hours they receive by the number of registrations paid, so you are truly in direct competition with other nearby associations. Now you will begin to field phone calls at all hours, from parents thinking of moving their child to your team, or parents looking to schmooze their kid onto the team. Some parents have the audacity to actually say they will bring their star player to you but they expect a guaranteed spot before the first tryout! Tryouts are next, and with the assistance of the executive you may have had help finding evaluators and on-ice help. These can never be parents or relatives of players that are striving to play that level. You will need to be present to introduce yourself to the parents and prospects that show up for your tryouts. 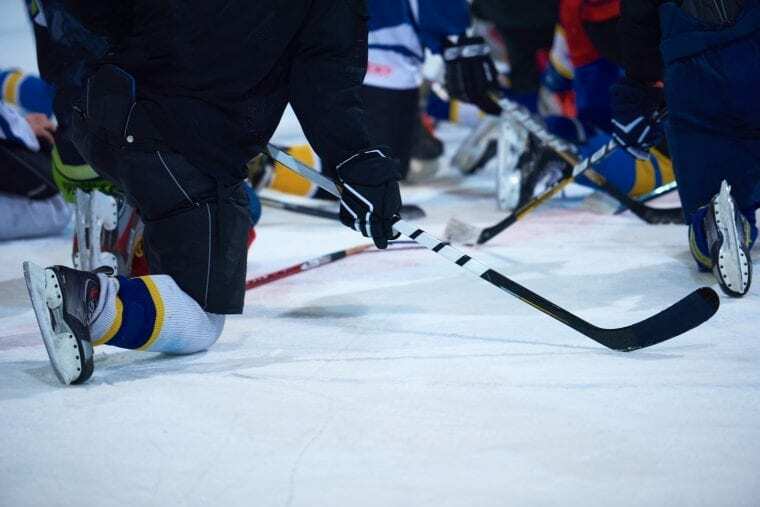 You will arrange the drills utilized and get the most heart-wrenching task any hockey volunteer could imagine… releasing players who don’t have what it takes to make the team. This is emotionally exhausting, especially when you are sometimes giving this bad news to over 20 players in one night! By mid-summer and often earlier, you have met at various times with the association president, the ice scheduler, and the registrar to determine how much each family will need to pay to play (families will have a good idea of expenses using your budget, but that can’t be taken as “final” since prices on everything can change anytime), work out how much ice is needed and what the team budget can afford, get approval for your chosen coaching staff and team manager from the association execs. You either had folks step up and ask to help, or you may have gone through an interviewing process yourself to hire them. Next you will, with the assistance of the newly appointed team manager, book the team’s tournaments. Depending on the level and many other factors, this could range from 1-10 tournaments in a season! You will follow up later with the manager to see how he/she is doing with RFP (request for proposal) or a quote for the necessary hotel room blocks when the team plays away tournaments. The best tournaments fill up quickly. Your team has been picked! Let the work begin! A very important meeting should now take place with the manager and the coaching assistants. Planning for a team-parent meeting requires preparation and input from all involved. The parent meeting then takes place and the coaching philosophy is shared, questions about the coming hockey season are answered, or postponed to a later date after facts can be checked. By now the roster should have been submitted and signatures and deposits collected by the manager, as well as any documents required by the association or league. The head coach should do a secondary review with the team treasurer to ensure that the correct figures are on the budget, and that no surprise supplementary payments would be needed from the families. Fundraising and sponsorship initiatives should be well underway by now and most coaches will do the work the same as their players, attending bottle drives, selling raffle tickets, etc. If this is a new head coach (rookie) appointment, then the coach will need to go out and purchase a whistle, coaching board, dry erase markers, pucks, a puck bag, and possibly pylons/markers and in some cases practice jerseys. As the coach, you will next work on the ice schedule, again with the manager—booking exhibition games, choosing from available practice times, and ensuring all of these, again, fit into the team budget and don’t interfere with tournament dates. Knowing what ice you have will be vital as you and either your manager or a member of your association will likely accompany you to a league meeting where you and the other coaches in your division will hash out the regular season schedule. At this meeting you will be given any rule changes and perhaps a review of penalties and/or fines imposed for non-compliance issues that could occur throughout the year. AT LAST your team is ready to hit the ice! You have spent numerous hours planning practices, making sure that progression is part of the master plan, and that you are working within the confines of USA Hockey, or Hockey Canada’s guidelines. The coach will work very hard to ensure he knows all of his players and may request that a team bonding event occurs. As with many of the special events during the year, the coach has an integral role even when some of it can be delegated to other members of the team staff. The coach should always be the first to get to the rink and the last to leave. This often means skipping dinner, or waiting with a player at the rink whose parent is late. Before the practice begins, a quick review with on-ice assistants should happen so everyone can keep things moving and be “on the same page”. Then it’s a quick change into coaching apparel and on to the ice. The coach should be skating around making sure the ice is safe with no obvious hazards before starting drills. If he/she can’t perform a drill him/herself, he or she should have on-ice assistants who can, or a very skilled leader on the team who is willing to spend the extra time with the coach to understand and be able to demo the drill in place of the coach. The first few practices may go off without any issue and it’s coming close to the time for your team to actually play a game. The coach must now set up the lines to be used in the game: who will play the PP and the PK if the level warrants it, have they practiced it, or will everyone just play equally to see what the team has initially and work from there? The coach should come to the game early and ensure the team has a clean and ready dressing room and the game jerseys are ready to go. If the coach is from the home team he must ensure the refs are ready and on time, and that a game sheet is prepared, as well as a timekeeper has been “voluntold” to perform the task. In many cases the team manager will either take care of, or be a backup for these tasks. It would be wise for both the coach and the team manager to have a working knowledge of the clock in the event that something goes wrong at a home game. A great motivational speech from the coach and the team is ready to go! The nervous walk to the bench with a million thoughts of how things will play out and what will occur in certain situations. Warm up pucks, water bottles, trainer kit, extra sticks, coaching board and markers all need to be on the bench with you and your staff. This sequence of practice and game events will occur over and over throughout the season. Any experienced coach will tell you that although winning isn’t everything it sure makes coaching easier! A team that loses frequently sometimes has the most parent problems, which all need to be addressed immediately. Social media can help one bad apple cause an entire parent group to gang up on a coach and things can be blown way out of proportion. This is a task the head coach will handle at lower levels, but at higher levels another member of the staff will often handle parent issues and the coach will only deal with players. It’s tournament time—a whole new dynamic for the head coach. Hopefully the team manager picked a hotel that was reasonably priced, close to the necessary rinks, has free breakfast, free parking, and (if it’s not a highly competitive team) a pool. If not, you should both expect some backlash from the parents. You have packed not only your stuff for the weekend, but that of the family members that will come with you. Usually some extra pucks, an extra jersey (notoriously someone leaves a game jersey at home), and all of your coach’s clothing and team gear (this could mean packing suits and ties—again depending on the level of the team). Of course, you will have read over the tournament rules at least enough times to understand how shootouts, overtimes, game misconducts, and unforeseen game delays or early starts will be handled. The head coach will usually request that the manager bring the appropriate handbook (OWHA in our region) and a hard copy of the tournament rules (sadly the refs don’t always read the rules of the tournament and the coach better be fast on his/her feet so as not to accept a decision that could be costly to the team’s position and look bad to the team and families.) If the team wins the tournament there is usually a photo op when the coach can, for one small moment, enjoy the victory they were part of. I have to admit, winning sure feels good and just like a great shot in golf, it keeps you coming back again and again. So the season goes on with lots of practices and games. The team Christmas party has come and gone. The team is doing ok, but then disaster strikes. One of the players is injured and out for a lengthy part of the season (heaven help you if it’s your top goalie). Another opportunity for the experienced coach to shine: if he/she has taken some more of their personal time to watch girls who play at lower levels (perhaps some of the releases from their own tryouts) in the same region and collected some contact information, now is the time to ask that player’s coach if your team can borrow a certain player as a call-up. There is paperwork for both the borrowing team and the roster team of the player, which must be completed before he/she sets a skate on the ice with your club and (I sound like a broken record) the coach and manager need to work in harmony to get this taken care of quickly. As the end of the regular season nears, the team is in a playoff spot, so here we go again with some more scheduling done either by submitting available ice and the league will make the schedule or a conference call or in-person meeting where all qualifying teams will offer up their ice and agreements to play will be made. Then the final draft is sent to the league for approval. Playoffs start and by this time darn near every coach can attest to the fact that they have, in one way or another, had some grand suggestions from parents of who should really play on the powerplay, or that if so-and-so doesn’t start shooting the puck they should sit, etc. It’s by this time that the association is accepting coaching applications for the following year, so the head coach fills out the application to do it all over again! Playoffs are stressful. The team didn’t win it all but they competed hard and achieved at least as much, if not more, than expected. Just when the coach feels pretty good about how the whole thing ended up, and before the last flood can even have time to freeze, the emails come in from some parents requesting an immediate release from the association as they were not happy with something (may not have even been the head coach). The coach must then pick him/herself “up by the bootstraps” and decide what they will do next. Coaching interviews for the following year are coming very shortly and a decision must be made to push forward or rescind the application you filled out weeks ago. The head coach needs to put together another budget, another season plan, and prepare for the coming interview. This might sound easy since the coach did the same exercise just one year ago, but if the coach’s child is good enough to play a higher level, or moving into another age group, or as a non-parent coach the association has asked you to take on a much bigger challenge by taking a much higher skilled team, then the dynamic and the plan/budget must also change dramatically. Better get a move on, tryouts start the following week!! So there you have it: one year as a head coach. I can say that my last foray into the hockey world as a head coach was for a girl’s U14A team and it consisted of approximately 90 hours of game time (60 games as games were 1.5 hours), 126 hours of practice (84 x 1.5 hours), six hours of tryouts, 30 hours of dryland, well over 200 hours of driving, 50 hours of fundraising and sponsorships, and at least 110 hours of preparation (meetings with execs, registrar, manager, league, and practice planning). A total commitment of 612 hours and this is a very conservative estimate that does not include phone calls or emails, time at the rink before and after games and practices, which would surely raise the time spent to well over 800 hours. To put that into perspective, in eight months working full time using a 40-hour work week, one works 1280 hours. Thank you coaches—our kids can’t do it without you!